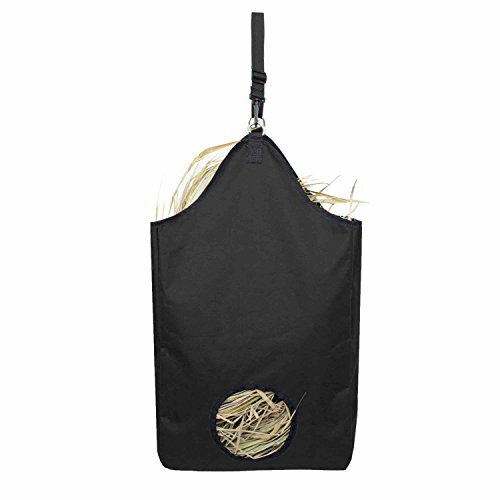 Derby Originals Fiesta Slow Feed Nylon Hay Bags, Black, 29" x 30" x 8"
This bag is designed to slow your horse down while eating while minimizing the amount of hay that is wasted. 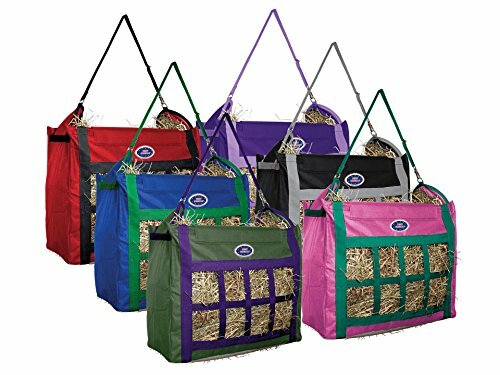 Great for on the go, its able to be used in multiple locations in or outside of the stable. 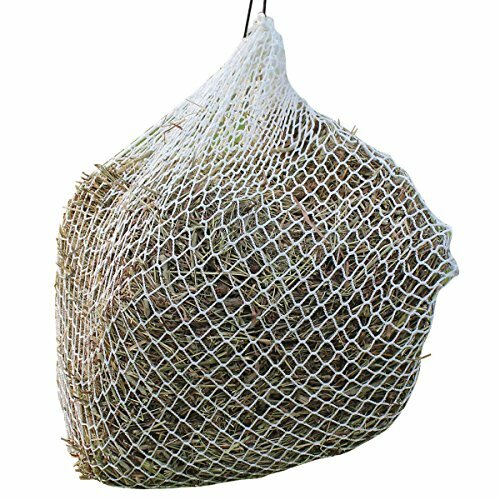 This hay bag is designed to make using a hay bag easier. Large D-rings allow plenty of space for straps and snaps. 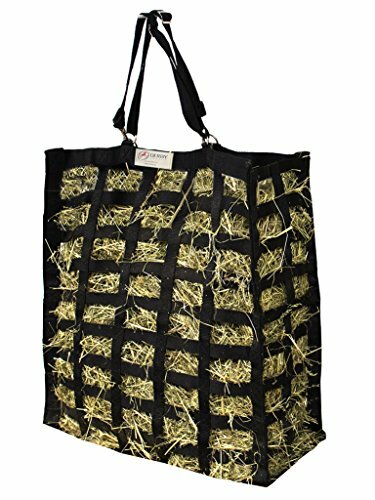 Best Selling Hay Bag by Derby Originals! 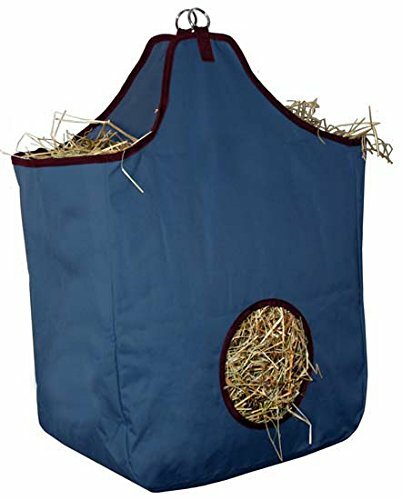 This sturdy Hay Bag will fit all of your stable needs. Cross bars help maintain shape and rigidity. Quick-grip top closure for loaded transport, foldable for unloaded transport. 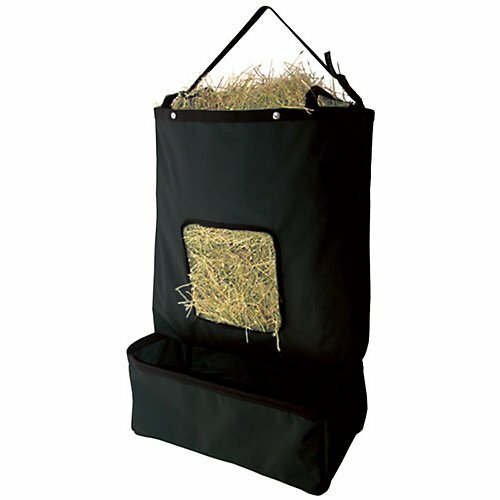 Openings are 4" W x 5" H. Inside dividers and mesh bottom allow excess dust to leave the hay. Removable/adjustable carry strap with bull snaps & rings. 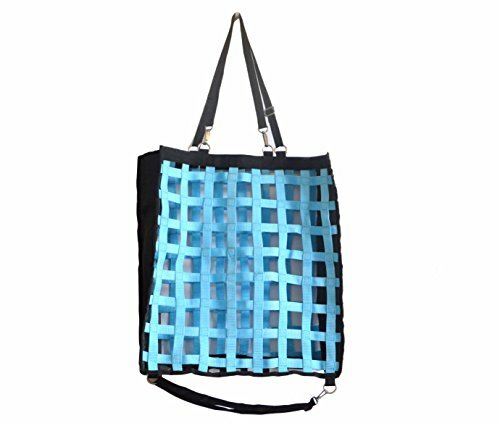 1200 D durable nylon reinforced with cross stitches. Velcro closure on top. 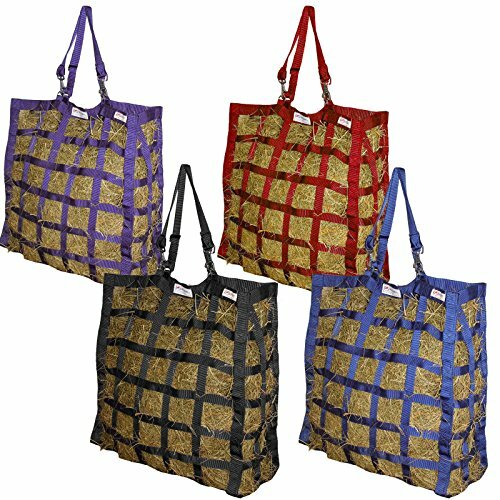 Bottom straps to stabilize hay bag. Holds 2 flakes of hay. 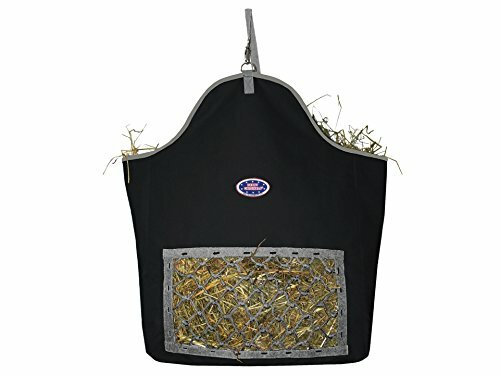 This 4 sided bag makes feeding time a breeze for your horse. No more frustration for the horse as they can conveniently eat hay from all 4 sides. 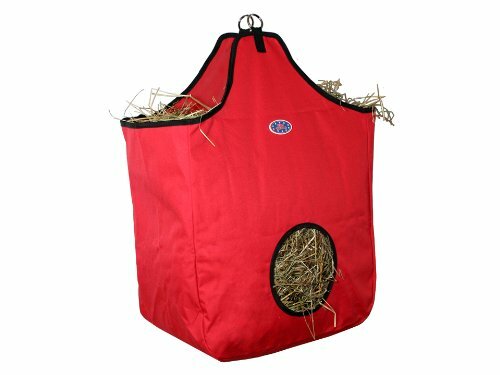 Derby Originals is the first company in the USA to offer a 1 year warranty on this hay bag. 4 sided patented design U.S. Patent No. D742,078. Size: 24" X 24" X 9"